Share the post "Girl Rising"
Which would you be most likely to donate: your money, your time, or your stuff? And thus a new model for social impact was born. Campo, 27, runs a nonprofit in Panama City called Hecha y Derecha. The idea is simple: individuals donate gently-worn clothing, Campo and her collaborators price them and sell them, and 75 percent of the money generated from the sales goes toward microloans for marginalized women throughout Panama (the rest of the proceeds are reinvested in the company). Campo, who is Colombian but grew up in Panama, first learned about how small loans can provide a better quality of life for women in underserved areas while working as a fellow for the microfinance company Kiva in Kenya. Microfinance, which promotes financial inclusion by giving under-resourced individuals access to traditional banking services such as loans to start their own businesses, has been widely touted as an effective way to combat poverty throughout the world. Once the darling of international development, microfinance has faced criticism in recent years for its failure to have a meaningful impact on global poverty rates. One of the main reasons is lack of education: default rates can be high when loans are distributed to individuals who lack the skills to manage a budget or run a business. Campo is currently raising funds through clothing sales, and word is quickly spreading through Panama City, where the resale industry has yet to take off. 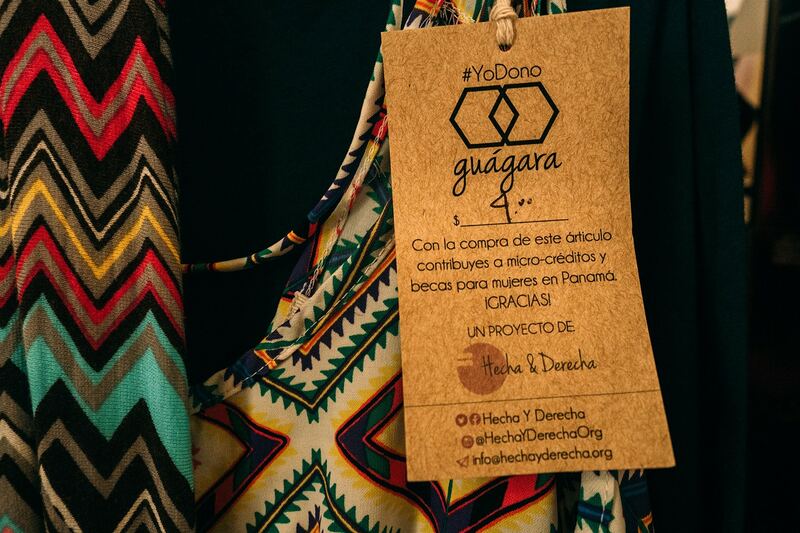 Hecha y Derecha plans to disburse its first loans, to women who live in the small town of San Miguel, this fall. In addition to managing Hecha y Derecha with her small team, Campo runs the human resources department for the hospitality group Selina and coordinates Panama City’s “Under 30 Changemakers” network. Sitting in her living room, surrounded by boxes and racks of clothing, she admits she’s overworked yet exhilarated.